I have two books I am trying to cram in during the vacation as I prepare for our next Parent Technology Night on Tuesday January 14. The topic – “Parenting in the Digital Age” – is a difficult for so many of us because we cannot simply revert to some of the tactics that our own parents used due to the fact that all of this technology simply did not exist. Whenever I am involved in conversations surrounding technology and our children, the only thing that rubs me the wrong way is responding to people who want to make this something that is either good or bad. The fact of the matter is that it can be either, depending on the motivations of the person utilizing the technology. My first book recommendation for those who are techno-skeptics (and everyone else for that matter) is Clive Thompson’s Smarter Than You Think: How Technology Is Changing Our Minds For The Better. I wrote a bit yesterday about the need for us to reinforce with our children the importance of not partaking in the streams of negativity that can easily be found online. Thompson points to examples throughout this book of how the internet is being used positively to further our intelligence both individually and collectively. Stay tuned for some more on Thompson’s book and some thoughts on the second book I am reading, The App Generation by Howard Gardner and Katie Davis. Dealing with digital devices in the hands of our children is a constant struggle for so many parents. How long should we allow them to be online? How can we best monitor their activity? Should we just ban certain websites or apps? There is not a day that goes by that I don’t spend some time thinking about these issues. 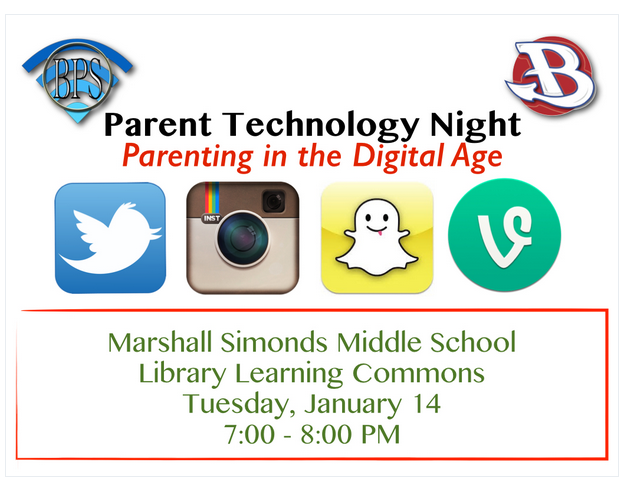 With this in mind, I am looking forward to our next Parent Technology Night in January (see information below) where we will have an open discussion about these questions and others. In the meantime, I was struck by the following quote from a great blog post on Slate by Danah Boyd and Eszter Hargittai titled How Politics, Race, and Socioeconomic Status Affect Parents’ Fears About Tech. The App Generation – by Howard Gardner and Katie Davis.